Acton's Air Freshener is a non-aerosol, water based air freshener with invigorating aromatic compounds elevates the mood and freshens the air with its floral and fruity fragrances. Blend of mind invigorating aromatic compounds. Stable molecules holds the fragrance longer. Eco-friendly ingredients (No ammonia, CFC's, phosphates, known neuro toxins & carcinogenic chemicals). Non aerosol spray and alcohol free. Leaves the surrounding smelling fresh and clean. Acton's Air Freshener is ready to use and use undiluted for better performance. 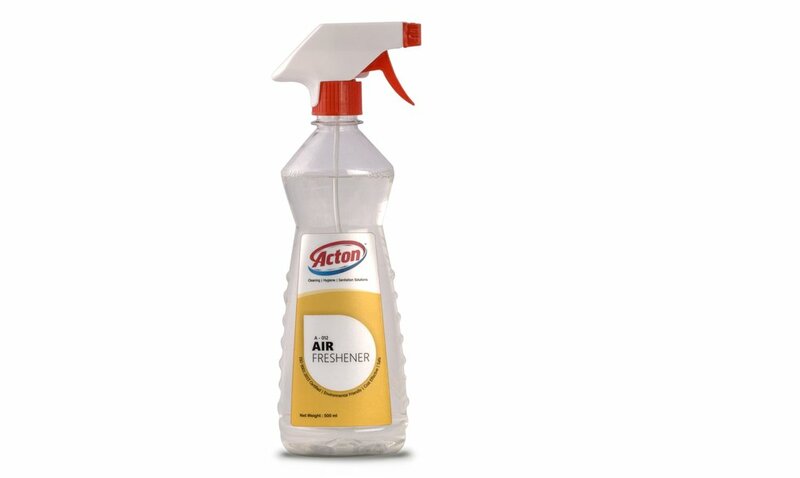 Transfer Acton's Air Freshener into a spray container and spray on curtains, under the tables or chairs, on the wall surfaces to experience the aromatic freshness. Remove spillage from hard surfaces as surface may become slippery.